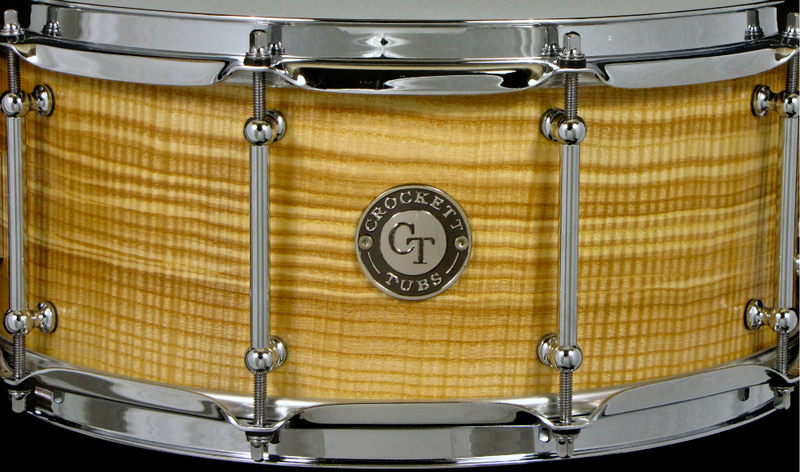 ← More drums available for sale in our online store! 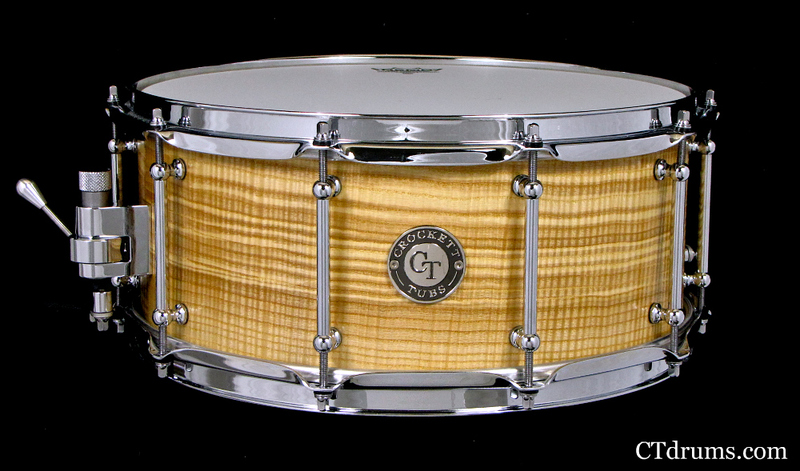 We hand picked this awesome piece of exotic veneer for this special drum. We have complete access to multiple types of veneers and species. The tight curly figure in this olive ash pops under our natural satin oil finish over our Standard Series Maple 8ply workhorse snare. Fitted with all chrome hardware, including vintage tube lugs x10, triple flanged 2.3mm hoops, a Trick multi step throwoff, and German brass wires. Posted on March 8, 2012, in Snares, Standard Series, Unique Builds and tagged 8ply, curly olive ash, exotic, maple, standard series, veneer. Bookmark the permalink. Leave a comment.